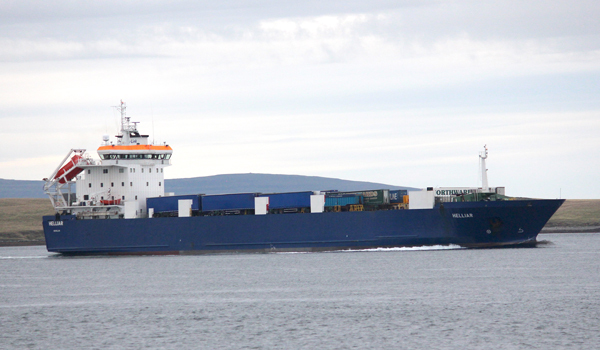 MV Helliar replaced the MV Hamnavoe on the Pentland Firth route earlier this month. Orkney’s MSP, Liam McArthur has again raised in parliament concerns in Orkney about the decision to replace MV Hamnavoe with a freight vessel during the recent refit period. Earlier today, Wednesday, Mr McArthur pressed the Transport Secretary, Michael Matheson MSP, if he thought that this arrangement, which follows the same approach taken last year, met the needs of either the local community or indeed tourists wishing to visit Orkney. In response, Mr Matheson acknowledged the problem and suggested that the government is looking at what might be done in future through the ferries review. Commenting after the exchange, Mr McArthur said: “Replacing MV Hamnavoe with a freight vessel was initially described by Ministers as a ‘one off’. Clearly that is not the case.